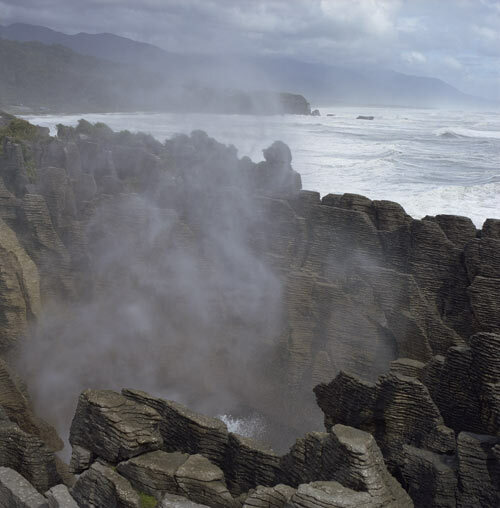 The Pancake Rocks at Punakaiki are thin layers of limestone that have been eroded to form a distinctive pattern resembling stacks of pancakes. This area of limestone is part of a sheet that extends into the surrounding hills, where it forms spectacular cliffs. There are many caves and tunnels, and large waves cause spectacular blowholes close to the coast.